This was close to all the downtown events and shopping. The automated check in process was very cool and easy to accommodate getting into the room on time. The doors with the codes only worked after 1600 check in. The room inside was nice and good use of space, although small. The TV apps made it easy to use and get information. 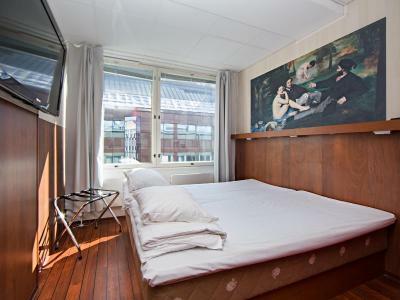 Our room had a window (not openable) to a bar and had live music, this was nice to sleep to. 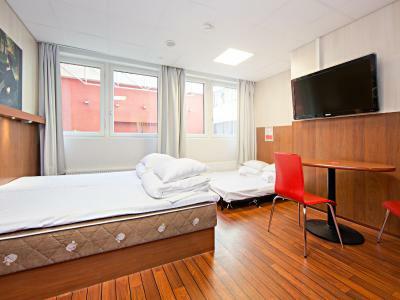 Very central, easy walk to cafes, shopping, museums, and the train station. 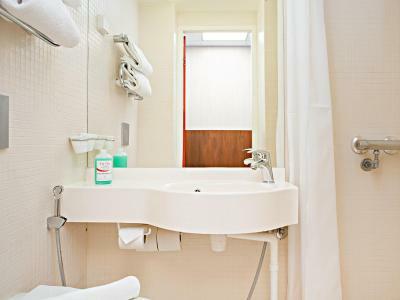 It's a great place to crash--it's clean and convenient if you just need to shower and sleep. Loved the no-frills check-in and check-out with only a code to get into the room. Although there is not a reception desk they replied to any question immediately and were very helpful. Excellent location. The heating was working. The elevator was working. It was not flooded. It was not on fire. 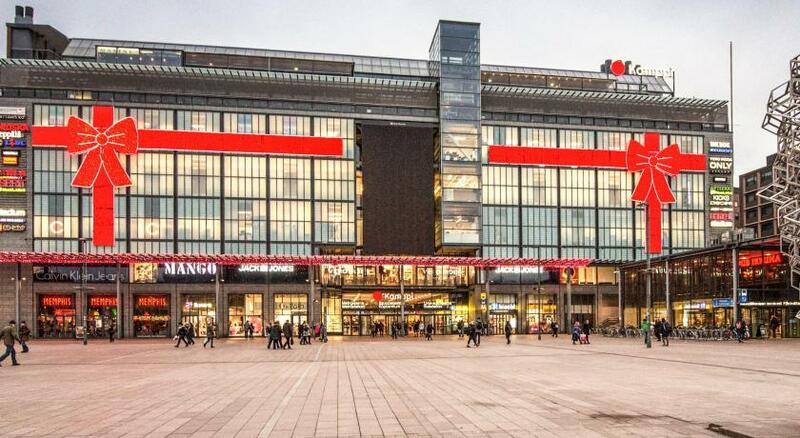 Very good location, it's very near to forum amd Kamppi. Nice and clean. It's very easy to check-in and check-out. Our room was spacious with a small table and two chairs, and a fold out luggage rack. It was nice there was a refrigerator and microwave, and tea and coffee in the room. Cleanliness was very good. The check-in process was confusing. I got the email with the chech-in instructions but didn’t bother to read them as I thought it was the confirmation emails. Anyway, I never had the staff-less experience but it was interesting to do it this way. 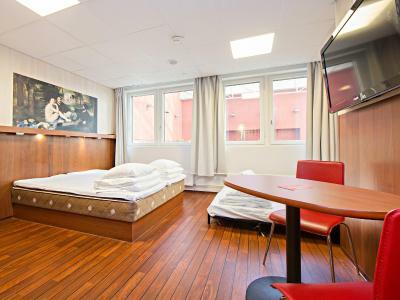 Omena Hotel Helsinki City Centre This rating is a reflection of how the property compares to the industry standard when it comes to price, facilities and services available. It's based on a self-evaluation by the property. Use this rating to help choose your stay! One of our best sellers in Helsinki! 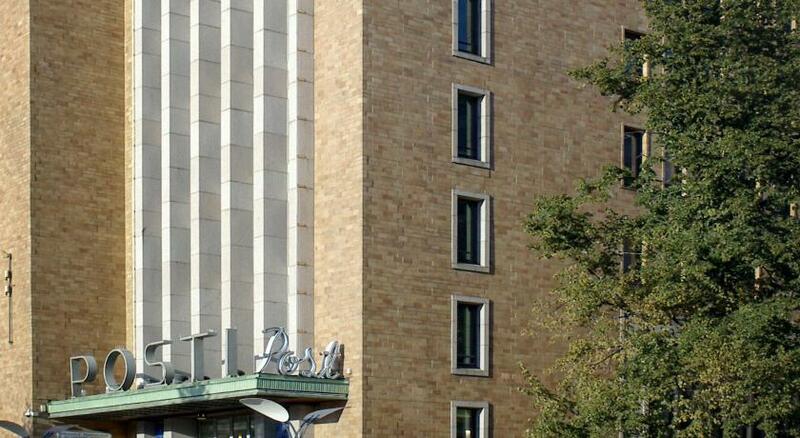 Located directly across from Forum Shopping Center is this central Helsinki hotel. It provides basic, yet functional accommodations and uses an easy keyless entry system. 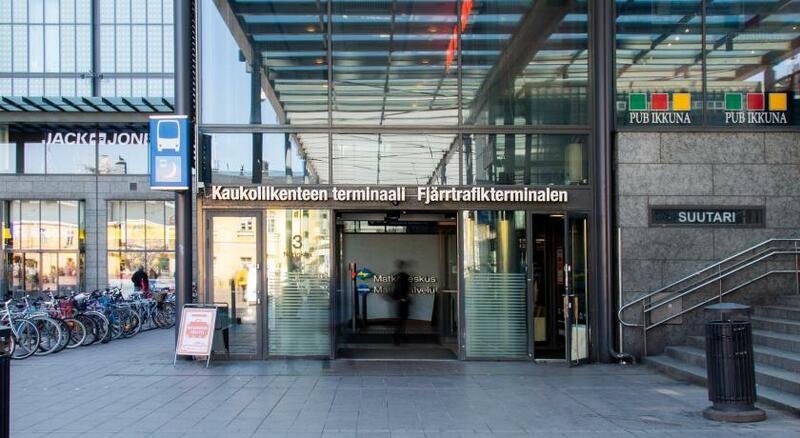 Helsinki Central Station is 7 minutes’ walk away. Free WiFi is available. 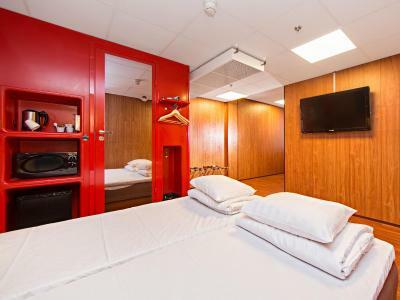 A flat-screen TV, fridge, microwave and tea/coffee making facilities can be found in all Omena Hotel Helsinki City Center guest rooms. 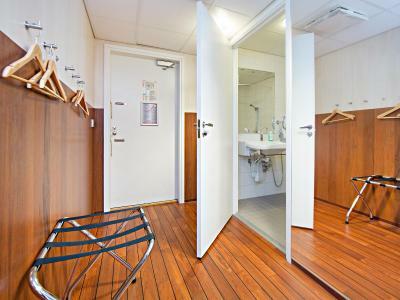 Each includes a private bathroom with shower, as well as a seating area with table. 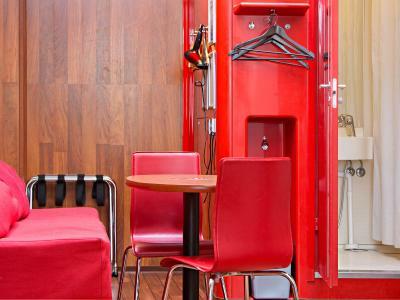 Vending machines are available at Omena Hotel Helsinki City Center. 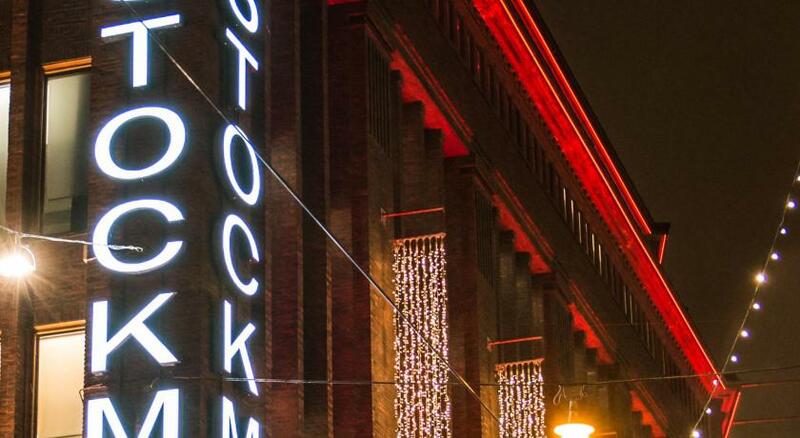 Several restaurants, cafés, bars and clubs are located in the close vicinity. 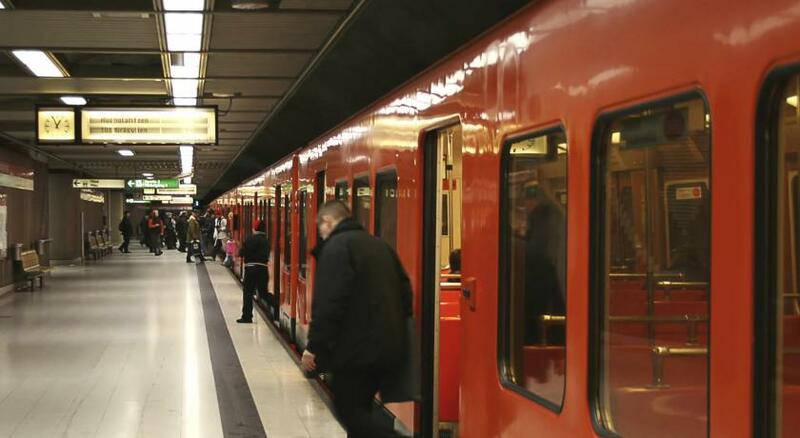 Both the Helsingfors Tram Stop and Yrjönkatu Swimming Hall can be reached within 3 minutes by foot. 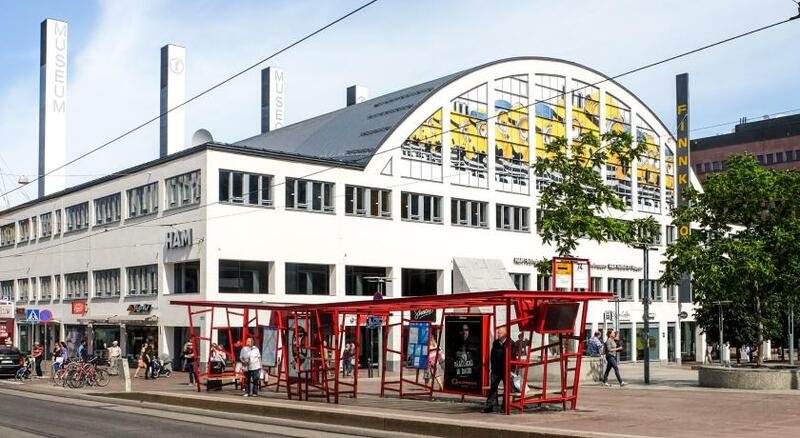 The Amos Andersson Art Museum is directly opposite the hotel, while the Kiasma Contemporary Art Museum is 5 minutes’ walk away. 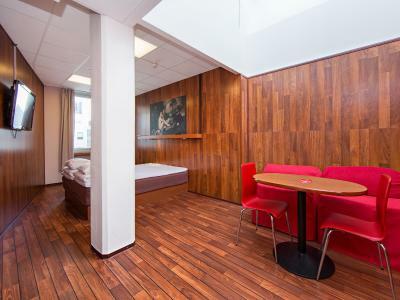 When would you like to stay at Omena Hotel Helsinki City Centre? 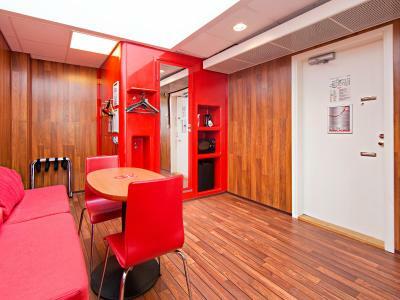 Includes a flat-screen TV, microwave, fridge and tea/coffee maker. 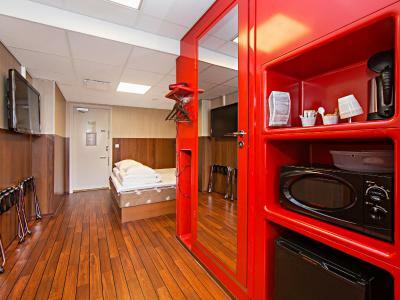 Also has a sitting area and private bathroom. 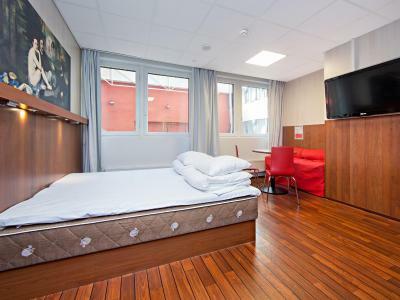 Please note that 2 guests are accommodated on fold-out beds. 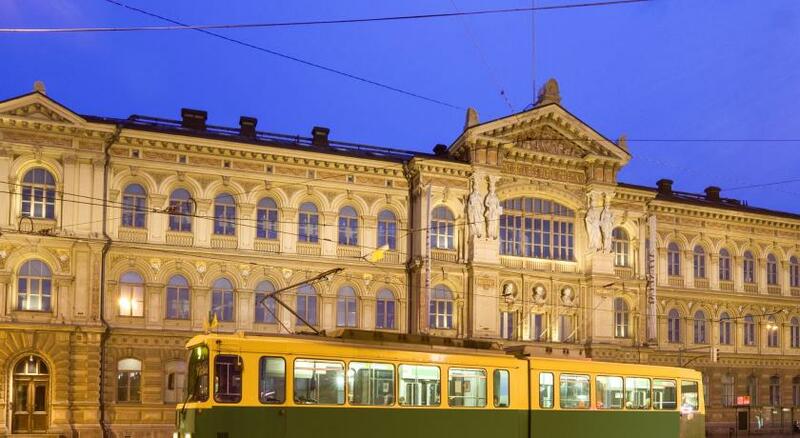 House Rules Omena Hotel Helsinki City Centre takes special requests – add in the next step! Omena Hotel Helsinki City Centre accepts these cards and reserves the right to temporarily hold an amount prior to arrival. 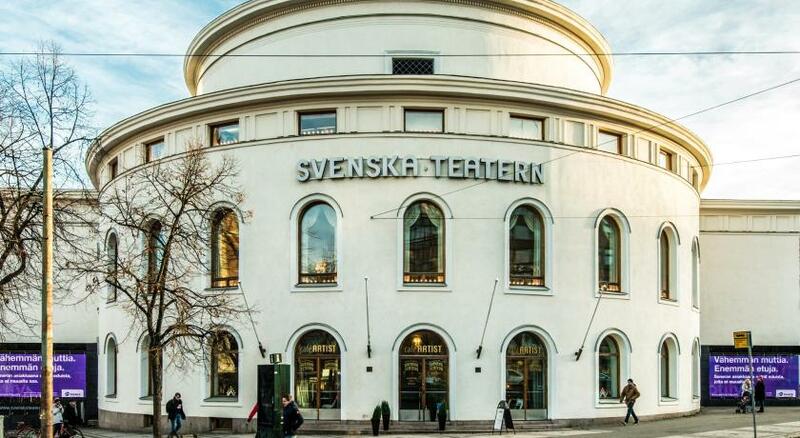 Please note that Omena Hotel Helsinki City Center requires that the credit card holder’s name matches the guest’s name on the booking confirmation. If you wish to book for another individual, please contact the property directly for further information after booking. 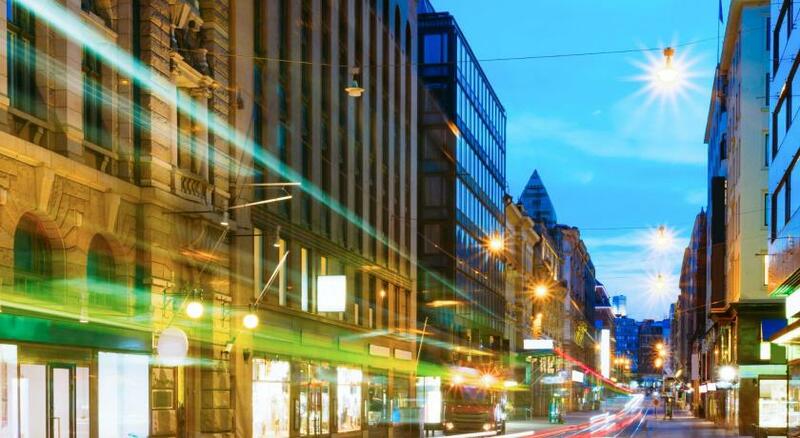 Omena Hotel Helsinki City Center is authorized to request a photocopy of the guest’s ID or passport in advance, which should be presented within 36H or before check-in at the latest. a little bit noisy at night, there seems to be a karaoke bar or some place playing music late. 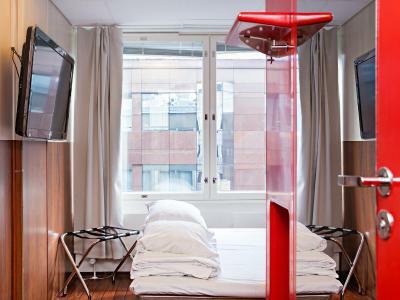 great location, convenient check-in and check-out procedures. 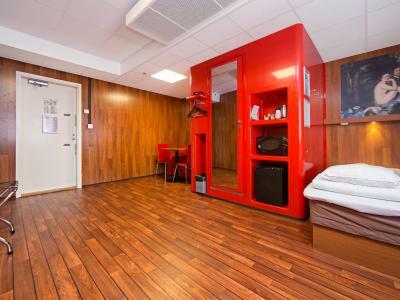 This was the poorest of all budget hotels. Don't even mention about breakfast, of course it was not included! There was no reception and was self check in which was extremely inconvenient especially when you have questions about the amenities of the hotel. I can't even call this a hotel as this place is not even decent to be a proper hotel! There was a free phone to call the customer service but the calls are not always picked up. Furthermore, hygiene was aghast! There was blood stain on the pillow case and curtains. There were remnants of hair on the drainer in the shower. Disgusting! I liked nothing about this place! Check in time is so late at 4 pm. And no staff to service us. I don’t like shower in the bathroom. Good location very close the city and department store FORUM. It would be good to consider cleaning trash bins as a minimum (the room was not cleaned up during my 3 nights stay). Localization is really perfect, close to the city center and in the very quiet street in the same time. 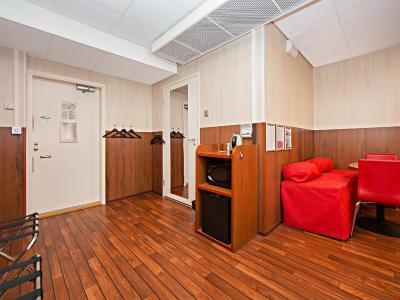 I really recommend when visiting Helsinki and looking for cost effective place to stay. The plugs by the beds didn't work so couldn't charge anything there. 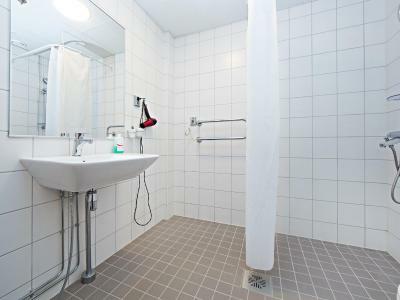 Very clean, good location. Eveything worked nicely. The water facet in the shower would not allow for temperature modulation. The water was really hot, the knob on the right side to turn it colder would no longer allow for cold water to be introduced. Please keep in mind that there are 2 Omena hotels closed to each other, so don’t mix them up. 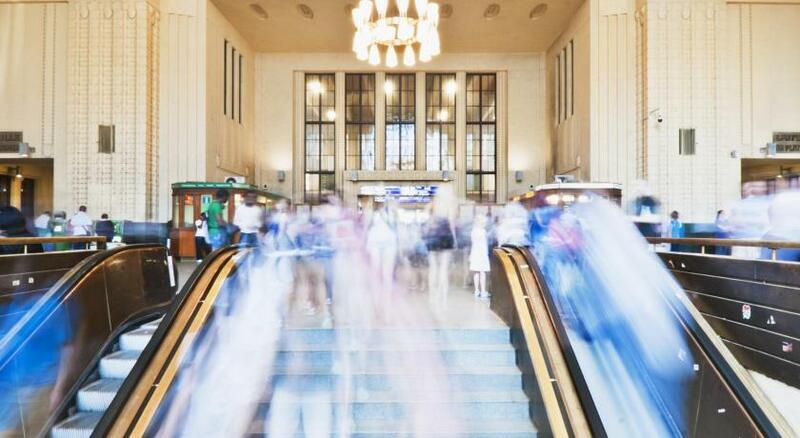 The hotel is very close to the railway station in a very quiet place. There are few small shops near the hotel. Good place to sleep if you use early train. the room was situated above a bar with pools. There is noise from the bar and the pools until late at night (till 4h am on week day!) The electric Appliance in the bathromm was sitcking out og the wall. The heating was too high with no possibility to lower it (alrady to the minimum) and no way to open the window. 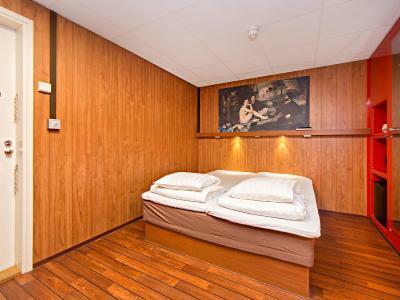 Should have given us this room during our stay from 21/3 to 24/3 for a family of 4. Thanks for the big room on 5 th floor. We had an enjoyable stay and beds are comfortable. The bathroom feels like a space pod, the rest of the room feels dark and closed off. You won't be spending time lounging in here. Small room but very comfortable. We had all for good staying there. I didnt enjoy the no staff. The bathroom was smelly and not enjoyable. The room was extremely small compared to what the pictures show. The location was okay and the room was clean. The kettle was broken, otherwise it would have been a 10. Bollitore rotto, altrimenti avrei dato 10. 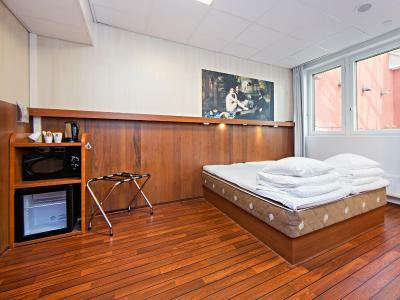 Very good position, clean and cozy room. Ottima posizione, camera pulita e accogliente.